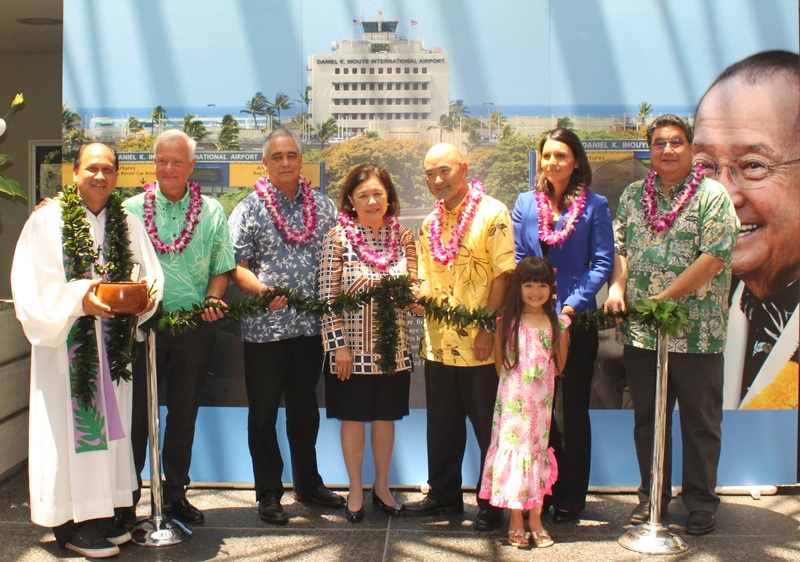 HONOLULU – With immense pride the Hawaii Department of Transportation (HDOT) officially announces the Honolulu International Airport is now the Daniel K. Inouye International Airport (HNL). 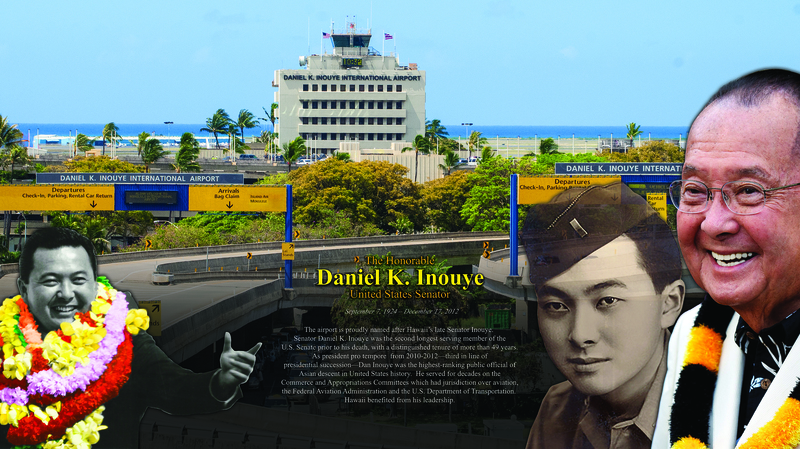 Daniel Ken Inouye was born in Honolulu September 7, 1924 and graduated from William McKinley High School, the University of Hawaii at Manoa and George Washington University. He served as Hawaii’s first representative in Congress in 1959. In 1962 he was elected to the U.S. Senate making him the first Japanese American to serve in both the House and Senate, ultimately representing Hawaii for a combined 53 years. He was the second longest serving Senator in history and rose to the rank of president pro tempore, which is third on the presidential succession, making him the highest ranking Asian American public official in U.S. history. During his tenure he continuously secured much needed federal funding for Hawaii which benefited projects on all islands. Senator Inouye is a Congressional Medal of Honor recipient, the nation’s highest award for military valor, for his heroic and courageous actions while serving in the decorated 442nd Regimental Combat Team during World War II. Despite being shot in the stomach and having his right arm lost to a rifle grenade, Inouye continued fighting and leading his men in combat, eventually destroying multiple German bunkers in the battle. 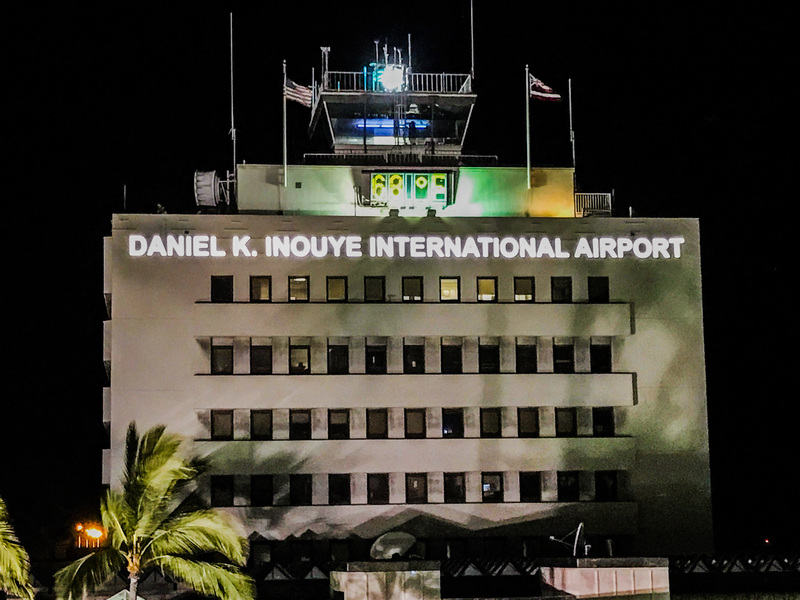 The HDOT Airports Division has replaced the iconic “Honolulu International Airport” lettering above the district office building with new signage stating, “Daniel K. Inouye International Airport.” The lettering is black during the day and illuminated white at night. New signage over the roadway signs above the entrances to the airport from the H-1 Freeway are also in place. The general contractor for the project is Global Specialty Contractors, Inc. The total cost of the new signage, parts, materials, labor, removal of old signs and repairs to the structures for new signs was nearly one million dollars. Because HDOT is self-sustaining no general funds were used, meaning no tax money was spent on the project. Instead HDOT generates its own revenue through user fees. In the Airport Division’s case, project costs, operating expenses and salaries primarily comes from concessions and airline revenue. Primary sources of funding include, landing fees, terminal rentals, parking revenue and passenger facility charges. 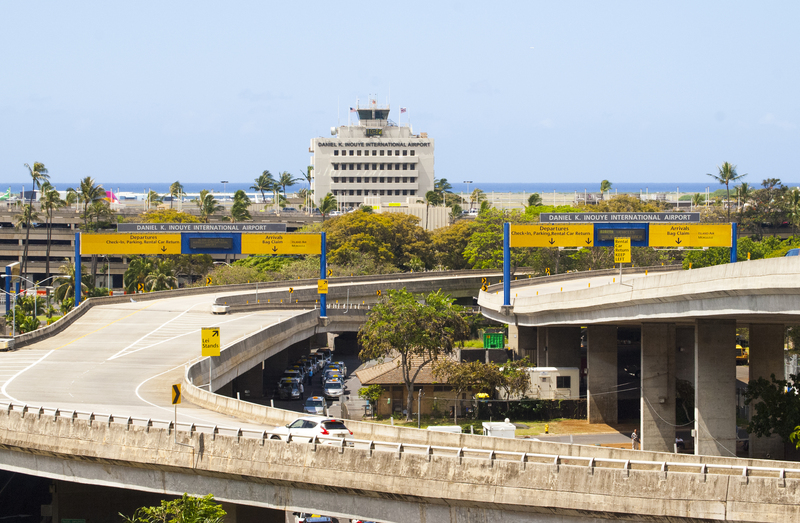 With more than 20 million annual passengers, 23,000 employees, more than 300,000 aircraft operations a year, and encompassing an area larger than Waikiki, the former Honolulu International Airport, is the biggest and most active airport in the state. The 24/7 facility is visited by residents and visitors from around the world. Twenty-five airlines serve the airport offering direct flights to and from the neighbor islands and dozens of national and international destinations. 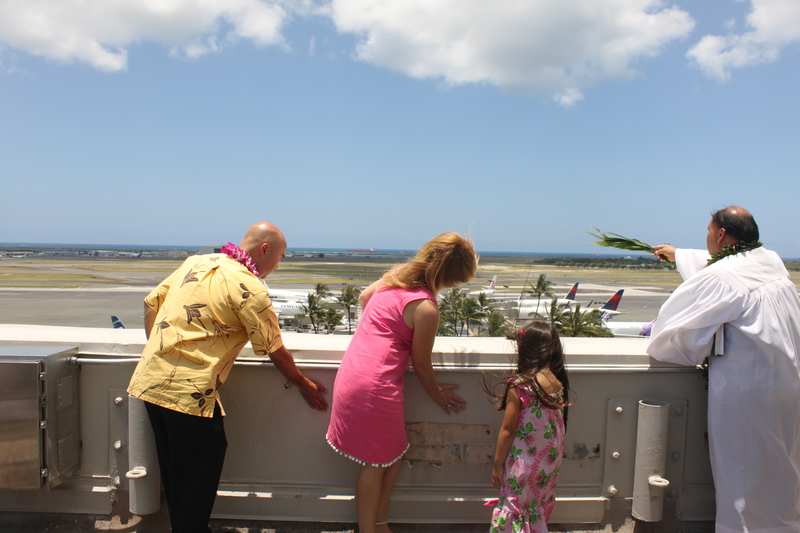 HDOT will officially reference the facility as the Daniel K. Inouye International Airport, however the Federal Aviation Administration will continue to use the HNL acronym. 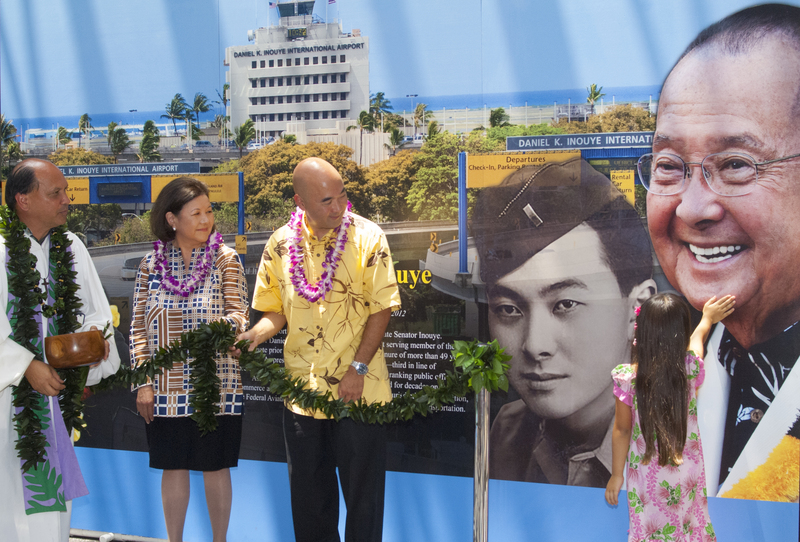 A Daniel K. Inouye exhibit showcases the life and career of the late Senator through photographs and memorabilia. The exhibit is located in the Overseas Terminal near gate 24, which is one of the busiest sections of the airport educating thousands of people a day about his contributions and legacy. In addition, there is an exhibit celebrating the Nisei veterans of World War II, many of whom fought with the 100th Infantry Battalion, 442nd Regimental Combat Team, Military Intelligence Service and 1399th Engineer Construction Battalion. Sen. Inouye fought with the 442nd Regimental Combat Team, the most decorated unit in U.S. history based on size and length of service. The exhibit was produced to preserve and perpetuate the acts of heroism and the achievements of the Japanese American soldiers in World War II. It is located in the makai end of the Interisland Terminal near gate 56. This is the fourth name change in the airport’s long history. It originally opened in 1927 as the John Rodgers Airport. After surviving the attack on Pearl Harbor the airport was renamed Honolulu Airport in 1947. The International designation was included in 1951. Photos from the ceremony can be found by clicking the individual links below. Please courtesy HDOT.